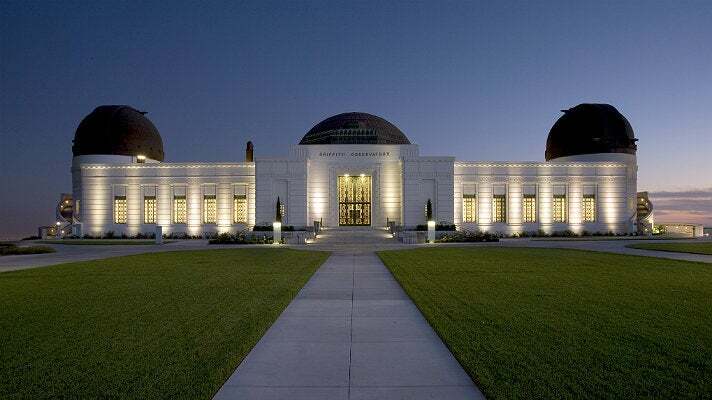 Preservation architect Brenda A. Levin has described the Griffith Observatory as L.A.’s “most recognizable and beloved building.” The dramatic Art Deco structure, designed by John C. Austin and Frederick M. Ashley in 1935, immediately conjures up images of the City of Angels, due in large part to its appearances in numerous films and television shows. Situated on Mt. Hollywood in Griffith Park, the expansive three-domed building was used in the opening scene of James Cameron’s 1986 sci-fi masterpiece The Terminator. The killer cyborg (played by Arnold Schwarzenegger) travels back in time and first appears at the Griffith Observatory before he steals clothes from some punk kids hanging out nearby. 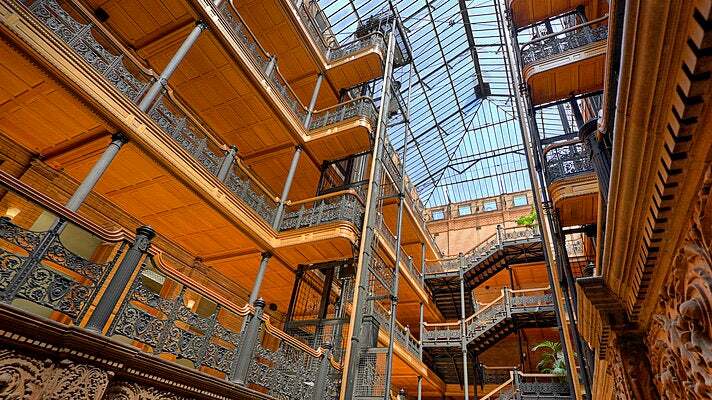 Situated behind a non-descript brick exterior at the corner of Broadway and 3rd Street in Downtown L.A., the Bradbury Building is one of the city’s most prized architectural marvels. 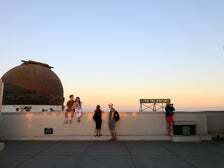 The structure was built in 1893 by novice 32-year-old architect George Wyman, who based the design on Edward Bellamy’s 1887 science fiction novel "Looking Backward." In the tome, Bellamy describes an office building of the future as a “vast hall full of light, received not alone from the windows on all sides, but from the dome, the point of which was a hundred feet above.” The Bradbury indeed boasts a large peaked glass roof that bathes the building’s interior courtyard in a soft, natural light. Carved marble staircases with ornate wrought iron railings and two elaborate open cage elevators line the perimeter of the lobby and lead workers to the upper floor offices. 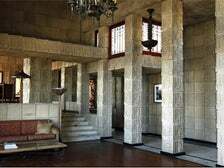 The Bradbury’s visually stunning interior has appeared on screen hundreds of times over the years, most notably in the 1982 sci-fi classic Blade Runner, in which the typically bright space was darkened considerably to portray the apartment building where J.F. Sebastian (played by William Sanderson) lives. A former rock quarry known as Bronson Canyon is located in the southwest corner of Griffith Park. Three small man-made “caves,” now known as the Bronson Caves, were carved into a small mountain around 1900 and have since become a popular tourist attraction and filming location, most notably for science fiction flicks. The caves are really more like small tunnels, stretching about 50 feet through the base of the mountain. 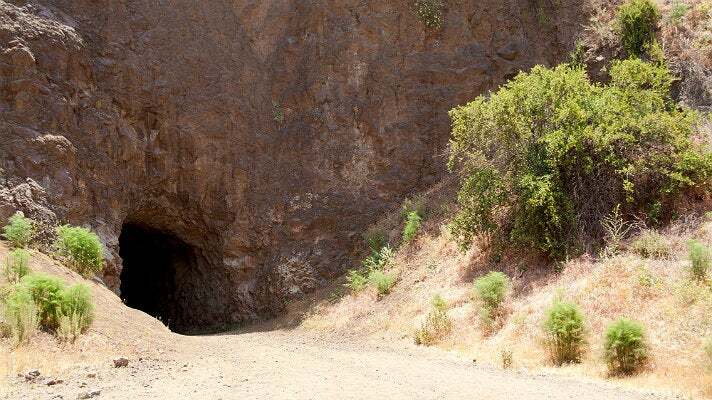 The site is most recognized as the Batcave from the 1960s Batman television series, starring the late Adam West. It’s also been featured in countless sci-fi movies over the years, including Robot Monster, They Saved Hitler’s Brain, The Phantom Empire, Eegah, The Brain from Planet Arous and Army of Darkness. 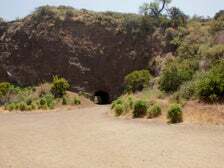 The caves also famously served as the spot where Kevin McCarthy and Dana Wynter hide from the pod people in the 1956 classic Invasion of the Body Snatchers. The 17-story John Ferraro Building was Bunker Hill’s first high rise and is one of the city’s most distinctive and unique buildings. 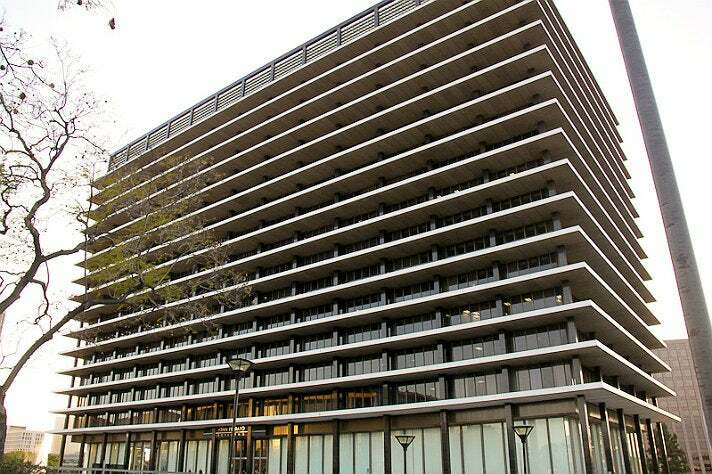 Designed by Albert C. Martin, the 1965 Modernist structure features cantilevered concrete slabs and glass walls and houses the headquarters of the Los Angeles Department of Water and Power (LADWP). The property’s most dramatic feature is the 625-by-350-foot reflecting pool that surrounds the building. The pool is comprised of two million gallons of water that function as part of the site’s HVAC system. The John Ferraro Building was used prominently in Christopher Nolan’s sci-fi thriller Inception. In the movie’s dream sequences, Leonardo DiCaprio and Ellen Page are surrounded by buildings and houses that are submerged in a large pool. The waterlogged structures were added to the Ferraro Building’s reflecting pool with CGI. The same special effects technology added several floors to the LADWP building, making it appear much taller in the film. 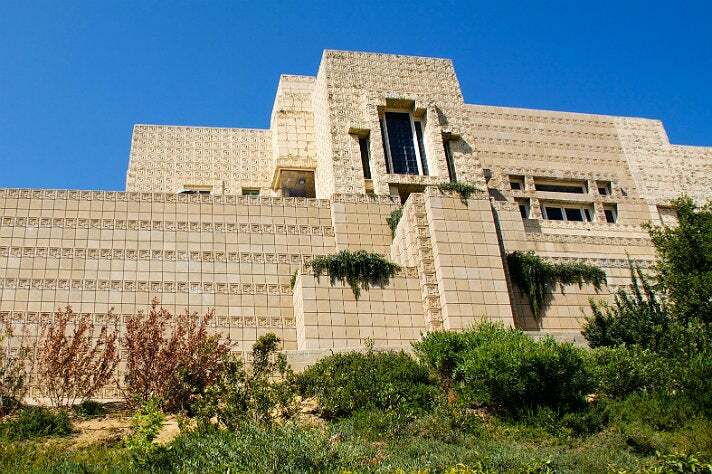 Blade Runner featured another one of L.A.’s most extraordinary structures, a Frank Lloyd Wright stunner known as the Ennis House. 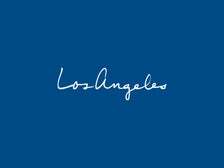 Situated atop Glendower Avenue in Los Feliz, the 10,000 square-foot private residence was constructed for Charles and Mabel Ennis in 1924. The geometric home’s flat textile block design was inspired by Mayan temples and created from interlocking concrete blocks decorated with elaborate relief ornamentation. Several floors were superimposed on top of the dwelling for Blade Runner, in which it masked as the apartment building where Rick Deckard (Harrison Ford) lives. 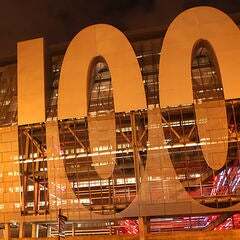 Only the exterior of the structure appeared on screen. The interior of Deckard’s apartment existed solely on a studio soundstage, though production designers did make molds of the property’s concrete blocks in order to re-create them on set. 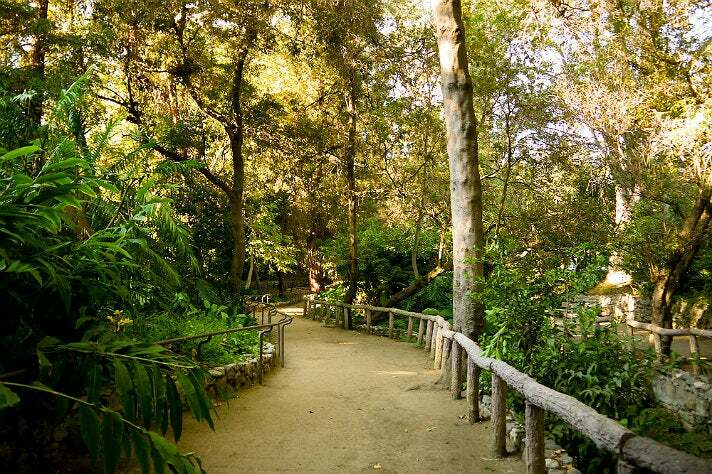 Located at the southernmost tip of Griffith Park, the Fern Dell Nature Center is one of L.A.’s most hidden treasures. The 20-acre idyll was created in 1914 when park workers began planting ferns next to a shaded stream. 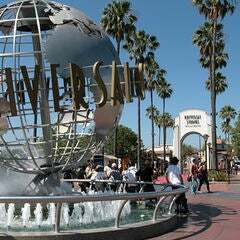 Bridges and walking paths were added later, and by 1920 the picturesque site had become a popular attraction for tourists and Angelenos alike. It continues to attract visitors today. 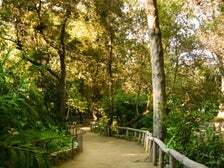 The tranquil oasis, which is tucked away in an alcove located just off bustling Los Feliz Boulevard, features a quarter-mile trail that winds through pine, palm, sycamore, ash and redwood trees, over quaint footbridges and next to a quiet stream. The peaceful glen has appeared in several episodes of Star Trek: The Next Generation and Star Trek: Deep Space Nine. It most notably portrayed the Bajoran Monastery of the Kai garden in Deep Space Nine. 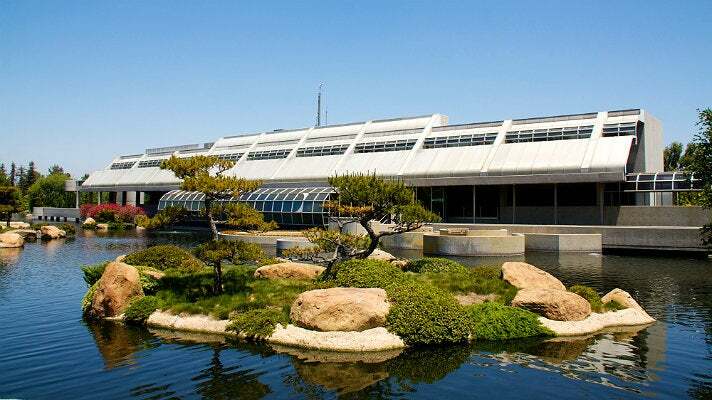 One of L.A.’s most unusual film locations, the Donald C. Tillman Water Reclamation Plant is both a sewer and a beautiful botanical garden. The plant, which began operations in 1985, purifies area wastewater so that it can be reused for various purposes. The facility treats 80 million gallons of waste each day, transforming it into 26 million gallons of usable water. The reclaimed water irrigates the on-site Japanese Garden, a 6.5-acre oasis that’s considered one of L.A.'s most beautiful gardens. 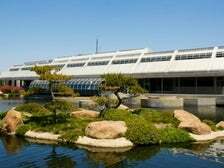 The property’s futuristic Administration building, designed by Anthony J. Lumsden, is better known as Starfleet Academy in the Star Trek franchise. To make the structure appear as if it’s located in Marin County, the Golden Gate Bridge and San Francisco Bay are superimposed into the background. 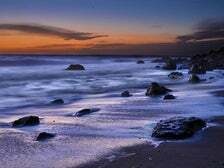 One of the most famous scenes in sci-fi history was lensed in a rocky inlet located at the tip of Point Dume State Beach in Malibu. 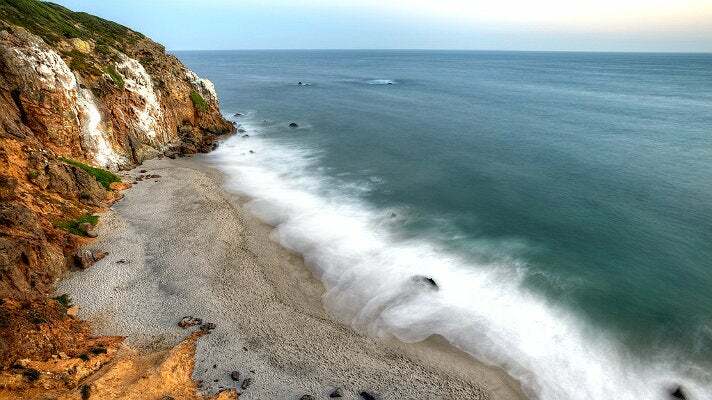 The beach’s haunting yet beautiful landscape consists of sprawling sands, a nature preserve, dramatic cliffs, a 200-foot bluff overlooking Santa Monica Bay and a tiny, jagged nook known as Pirates Cove. It was in that cove that a beleaguered Charlton Heston discovered the Statue of Liberty half-buried on a sandy shoreline in the climatic ending of Planet of the Apes (1968). Lady Liberty’s burial was achieved via a two-fold special effect. For the scenes in which her crown and torch are shown towering over Heston, a half-scale papier-mâché model was built. For the wider shots, a matte painting on glass was superimposed over some large boulders located along the shore. Pirates Cove also popped up in the film’s 1971 sequel, Escape from the Planet of the Apes, in the opening scene in which a spaceship carrying Roddy McDowall, Kim Hunter and Sal Mineo lands on Earth. Steven Spielberg’s 2002 sci-fi thriller Minority Report takes place in Washington, D.C. in the year 2054 and was largely lensed in L.A. circa 2001. After the PreCrime Precogs predict that Chief John Anderton (Tom Cruise) will commit a murder in 36 hours, he takes Precog Agatha (Samantha Morton) to “Mall City” to meet a hacker friend who can hopefully help him download proof that he’s not a killer. 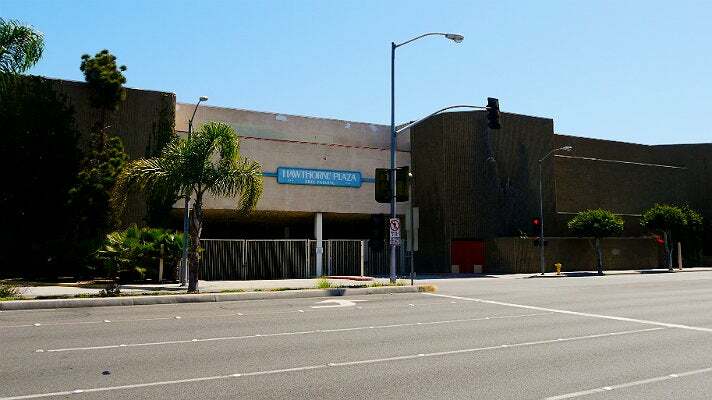 That scene was shot at the long-abandoned Hawthorne Plaza shopping center. The 34-acre site, which first opened in 1977, shut down in 1999 and was later gutted, leaving an eerie landscape of stairs with no railings, empty escalator banks and cement beam openings where storefronts once beckoned shoppers. Spielberg transformed the space into a bustling mall for the shoot, adding signage and facades to the empty shops. In real life, the property has a much more post-apocalyptic feel. While the public can’t access the interior of Hawthorne Plaza, its boarded-up exterior, which is covered in the ghost signs of its former tenants, is eerie in and of itself. 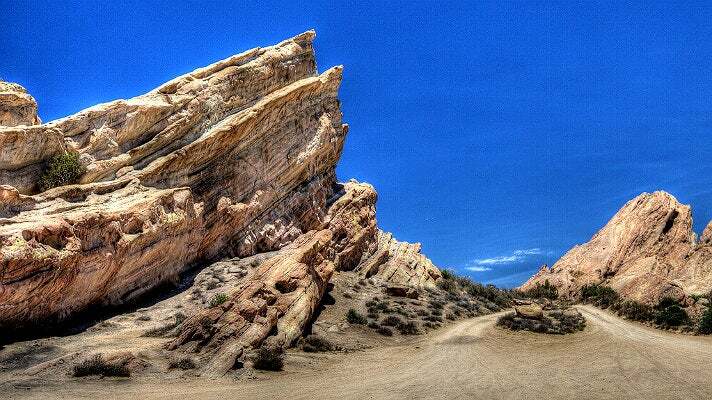 The 932-acre Vasquez Rocks Natural Area Park was dubbed “the most commercially photographed boulders on the planet” by the Los Angeles Times. Named for the notorious bandit Tiburcio Vasquez, the jagged rocks were formed by massive prehistoric flooding and earthquakes and jut from the ground at odd 50-degree angles. Located in Agua Dulce in northern L.A. County, the 150-foot tall formations have been captured on film countless times (over 200 shoots take place there each year), most often in westerns and sci-fi productions. 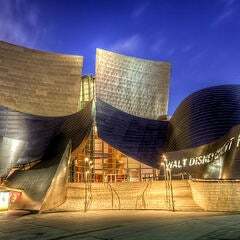 Open daily to the public, the park has appeared in 10 Star Trek TV and film productions over the years. Captain Kirk (William Shatner) battled the Gorn at Vasquez Rocks in the Season 1 episode of Star Trek: The Original Series titled “Arena.” Trekkies will also recognize the site as Planet Vulcan from Star Trek IV: The Voyage Home (1986) and Star Trek (2009). 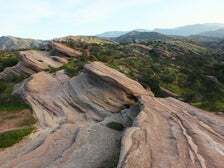 Vasquez Rocks has also made several appearances on HBO's Westworld.